The 2018 Clear the Air Challenge is Here! Transportation emissions are responsible for nearly 50% of the pollutants that make up our poor air quality. These pollutants become a serious concern during the winter months when normal atmospheric conditions (cool air above, warm air below) become inverted. This allows the air quality in the valley to become filled with particles that can quickly become unhealthy. While there is much work being done to reduce those emissions (better transit, cleaner vehicles, more active transportation), the fact is– we can and should all help. We can each be a #CleanAirChampion. The Utah Division of Air Quality estimates that if every driver along the Wasatch Front were to give up driving for just one day per week, it would keep 6,500 tons of emissions (or 85 times the weight of the International Space Station) out of our airshed. Following a highly successful pilot program last year, deeply discounted transit passes are again available exclusively to Salt Lake City residents. 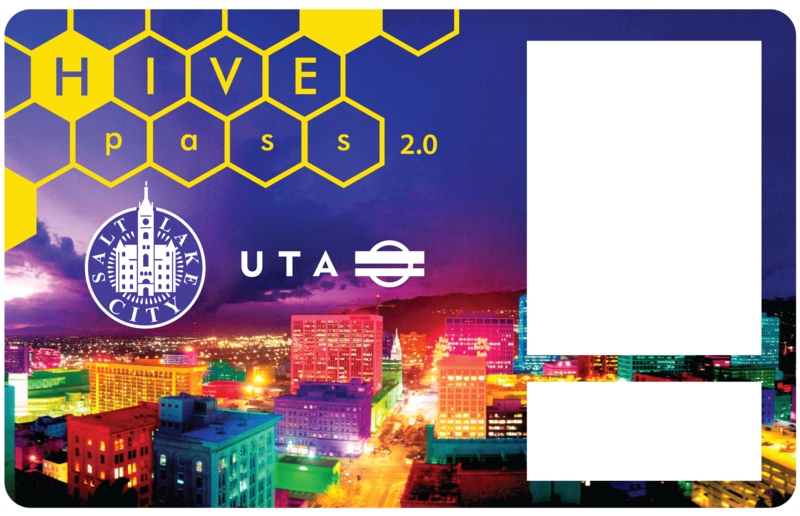 Dubbed Hive Pass 2.0, this Salt Lake City program, in partnership with the Utah Transit Authority (UTA), continues to offer residents easier access to mass transit by reducing the cost of a UTA monthly adult pass by 50 percent. Residents can purchase the Hive Pass for only $42 a month. 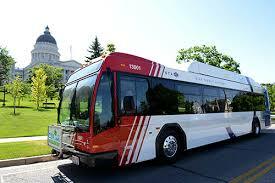 Pass holders have access to unlimited rides on UTA buses, TRAX light rail, and the S-Line streetcar. The program also provides a $2.50 discount on one-way FrontRunner and Express bus trips. Hive Passes can be purchased for any amount of consecutive months up to a full year and will be activated on the first day of the month for which it is purchased. A 12-month purchase comes with an additional 10 percent discount. Passes are sold Monday through Friday at the following locations and times. 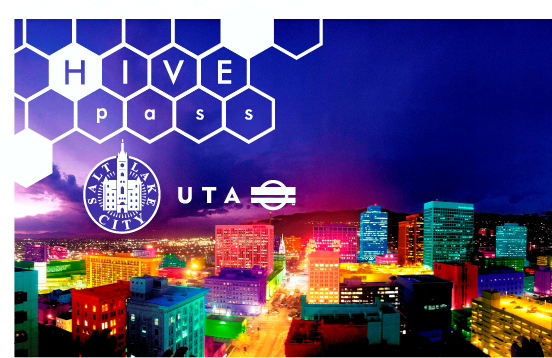 Customers must live inside Salt Lake City boundaries and bring a photo ID and two additional forms of eligibility documentation (proof of residence) to purchase a Hive Pass. 1530 S. West Temple St.
To learn more about the Hive Pass, determine your eligibility and learn how to get your pass, visit www.ridewithhive.com, e-mail ridewithhive@slcgov.com or call 801-596-RIDE (7433). This one-of-a-kind electric bus is capable of charging itself through wireless induction technology! The electric “Aggie Bus” uses a high power, high efficiency wireless power transfer system that is capable of transferring enough energy to quickly charge the vehicle on an air gap of up to 10 inches. In practical terms, this electric bus charges itself instantly, and at every stop. Plus the vehicle has zero emissions!